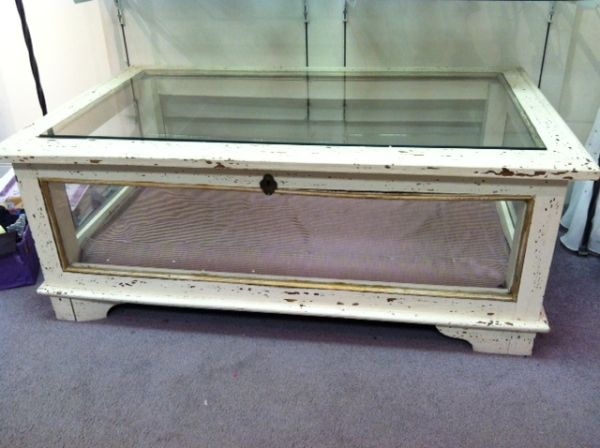 coffee table | So Pretty is as Pretty Does. 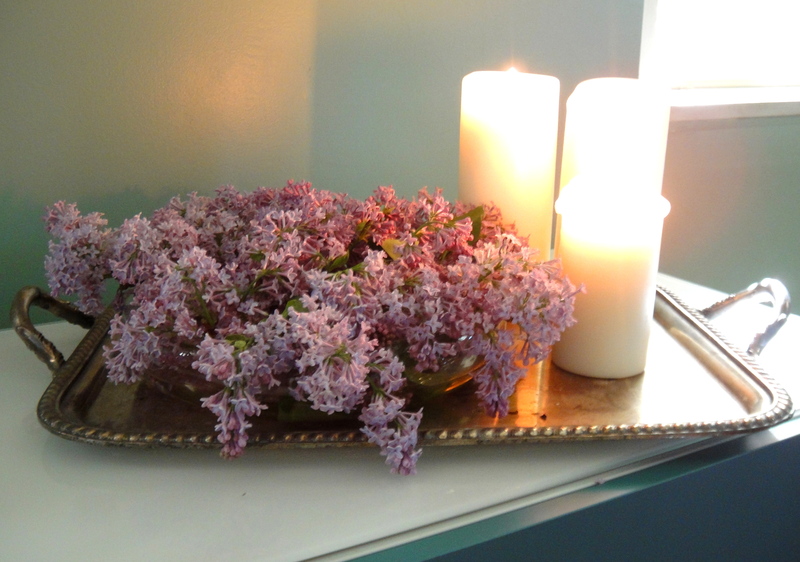 One of my lovely neighbors gave me a basket full of lilacs the other day, as well as carte blanche to cut lilacs from her yard anytime. With centerpieces this easy to make, I’m certain I’ll be two yards over with a basket and shears fairly often. 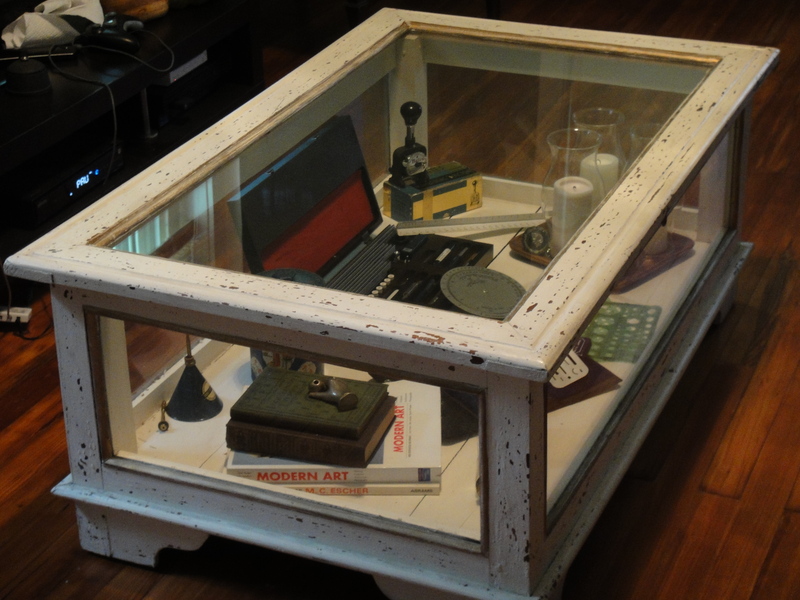 I have been looking for a new coffee table for the past nine months. I took two months off due to the wedding, but started looking this week, and wouldn’t you know that after a little time away, I found exactly what I was looking for on the very first Craigslist click! I had been hunting for a display coffee table, mainly because I think they’re cool, but also because I like the idea of being able to change my table to suit the room as it changes and because I thought I could get away with having a larger coffee table if it was all glass and didn’t take up as much visual space.